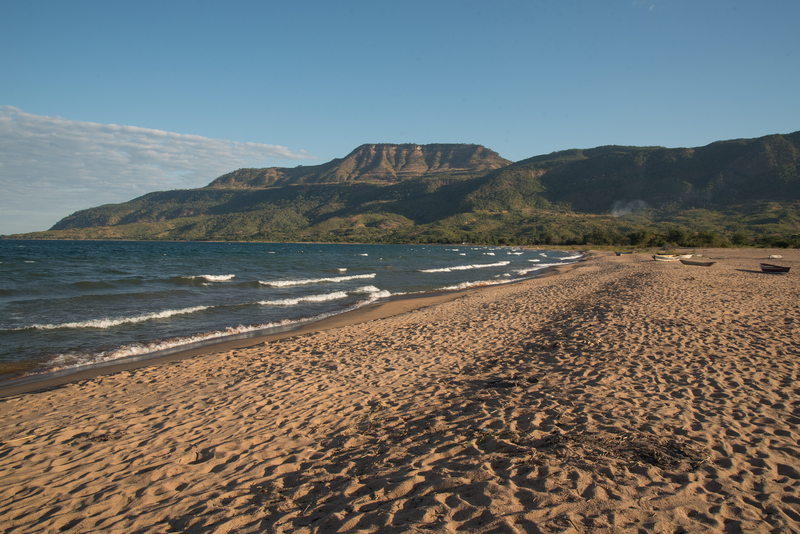 I’ve now Travelled across Africa on an overland expedition, and now I can share some of the top lesser known experiences the continent has to offer. But also, the disappointing, overrated excursions that you may want to think twice about before participating. In Zimbabwe, you will have a brilliant chance to get up close to one of the worlds most loved and endangered species, the rhino. “YES,” that’s right you will be able to leave the safari truck and hike up to an arm’s length to the 3500kg, grey dangerous beasts. Don’t worry though park rangers and a guide will assert you. 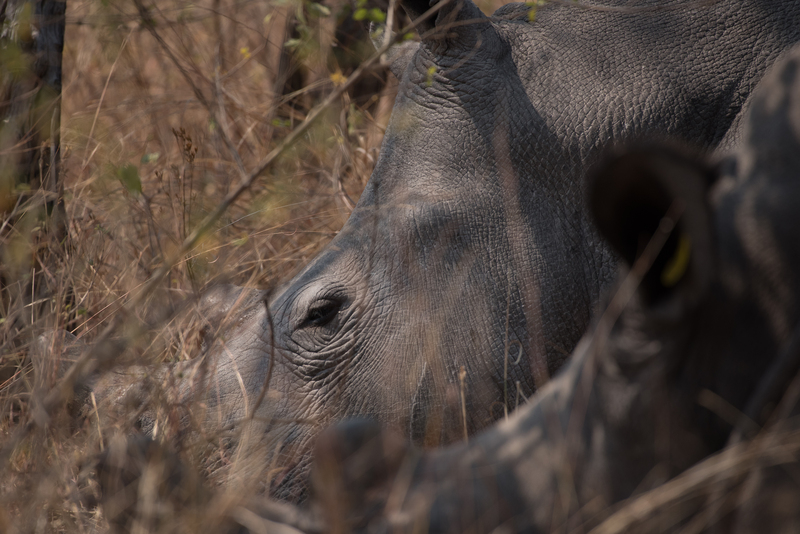 We were fortunate when we visited out of the park’s 50 white rhinos we got to witness 13, and all were sleeping. 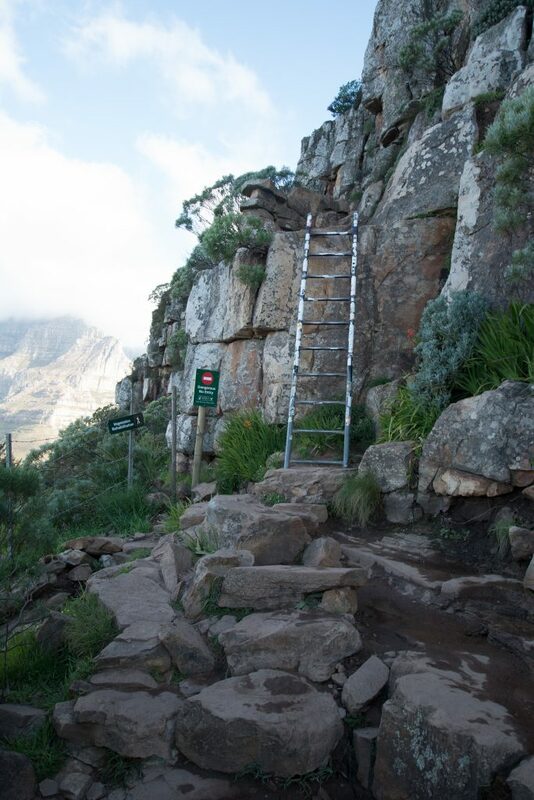 Afterward, you will get to see ancient bushman paintings and the memorial shrine of the famous Cecil John Rhodes. After your fantastic day Safari, around magnificent Etosha park, you get the excellent chance to follow up your beautiful days game spotting by spending the night at a watering hole. The campgrounds use special lights that don’t affect the wildlife, resulting in an exceptional night time observation. My fellow travelling buddies and I got to see Zebra, hyena’s, and a family of rare black rhinos. Unlike truck safaris you get to watch big game until your heart’s content, if only we could have lingered longer than one night. After many months, days and hours travelling south you finally get a chance to reach the most Southey point of Africa where the Pacific and the Atlantic meet, Cape Point. It’s a great way to mark the ending of your African journey. Unfortunately, you’re have to pay for an expensive excursion all car hire as overland operators don’t include the trip within the tour. 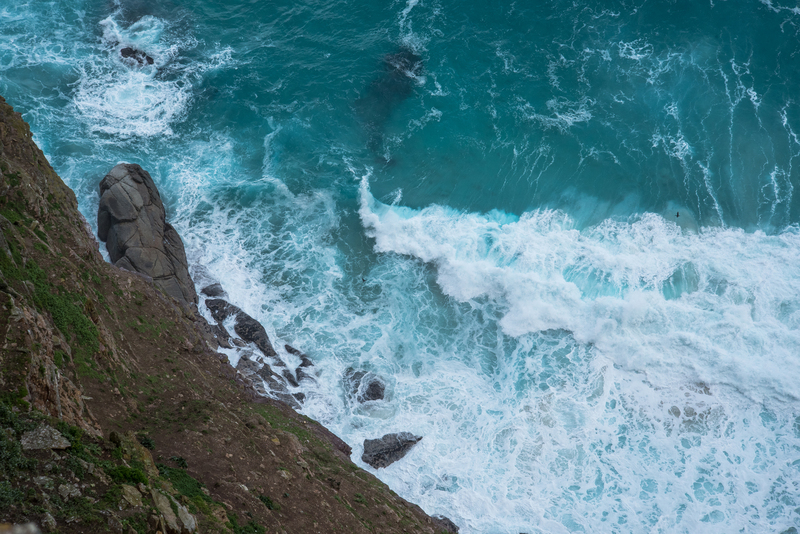 At Cape Point, you get to see the lighthouse, that towers above the crashing waves of the Pacific and Atlantic oceans. Oceans that visible have two very different colours and boosting of tremendous whale watching experiences. On the way, back don’t forget the penguins at Boulders Beach. 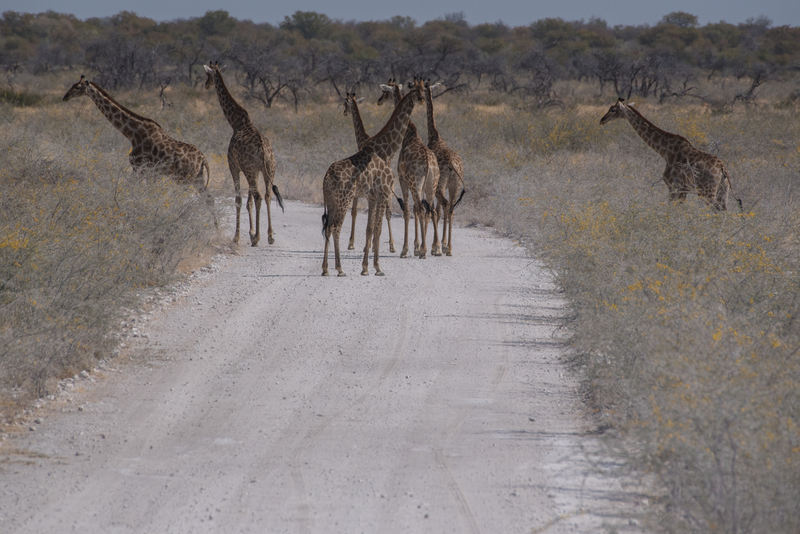 After visiting Etosha National Park, you end up staying at a Cheetah Park. 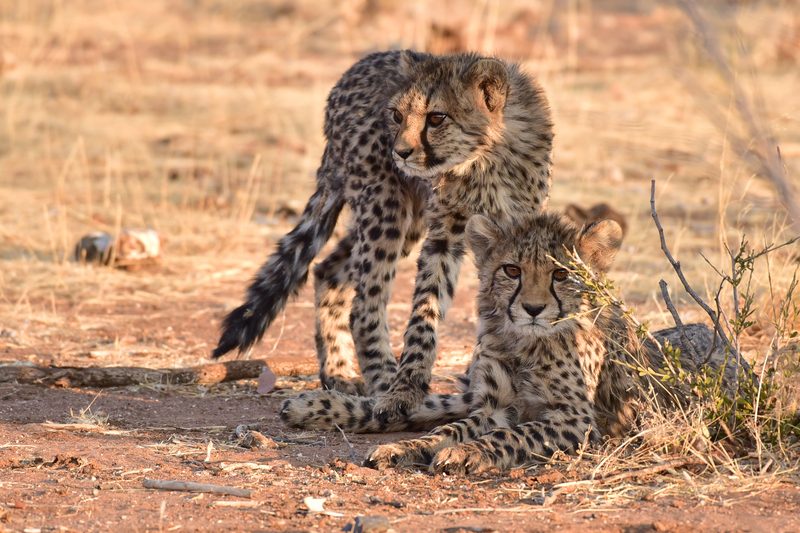 This is a brilliant opportunity to get up close to tame and wild cheetahs. Firstly, you get shown to the landlord’s home where he keeps three tame cheetahs as pets. It’s a brilliant opportunity to take a selfie with a wild cat even though its surreal and questionable these cheetahs were abandoned as baby’s and would not survive in the wild. In the evening for $10, you get to see wild cheetahs being feed, which is an incredible photographic opportunity. 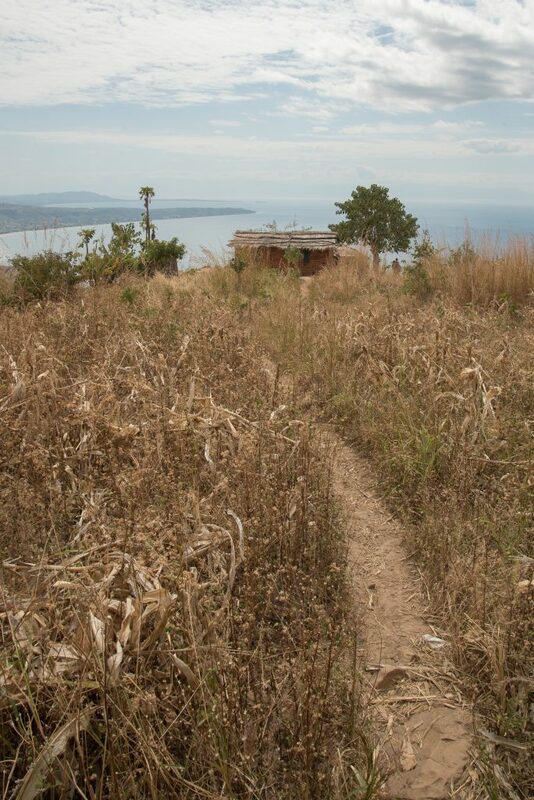 One of my favourite and most surprising excursion on the 2-month Oasis Overland adventure was the hike up to Mount Chitmba on Lake Malawi. For the cost of $10, me and three friends hired a guide to climb. The day started with a 5 am, start followed by a 4hour hike to the top. Once on top of the 1400 metre peak, the views were spectacular. I found the 3-hour trek down really hard on my feet even with wearing merrells. After the 16km hike, we found ourselves back at the campgrounds where we couldn’t make our minds up whether to take a shower, first all have lunch. 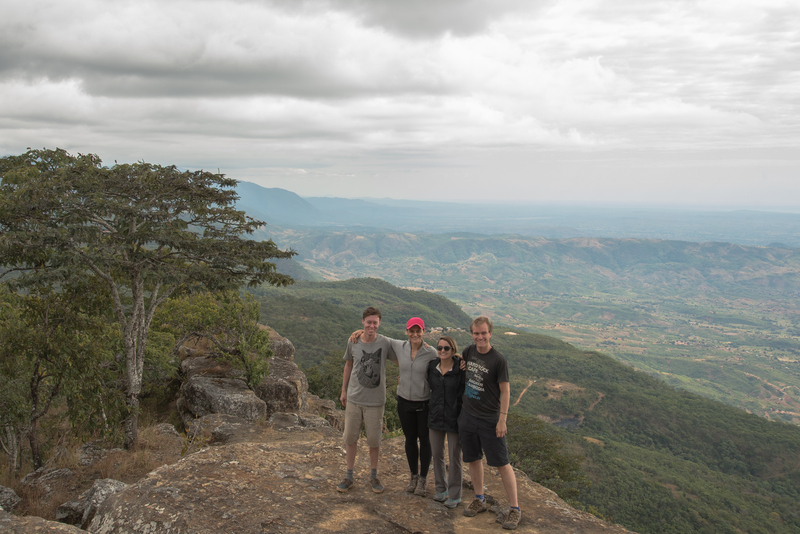 Overall though Mount Chitmba offered an extraordinary adventure that I will always remember. My last day in Africa and I decided to hire a car and drive to Hermanus to spot Whales. This was my first time driving abroad, and South Africa is the ideal destination to pop you’re driving abroad cherry. With cheap car hire (I paid £10 for the entire day), good road signs and if you live in the UK, they drive on the correct side of the road. 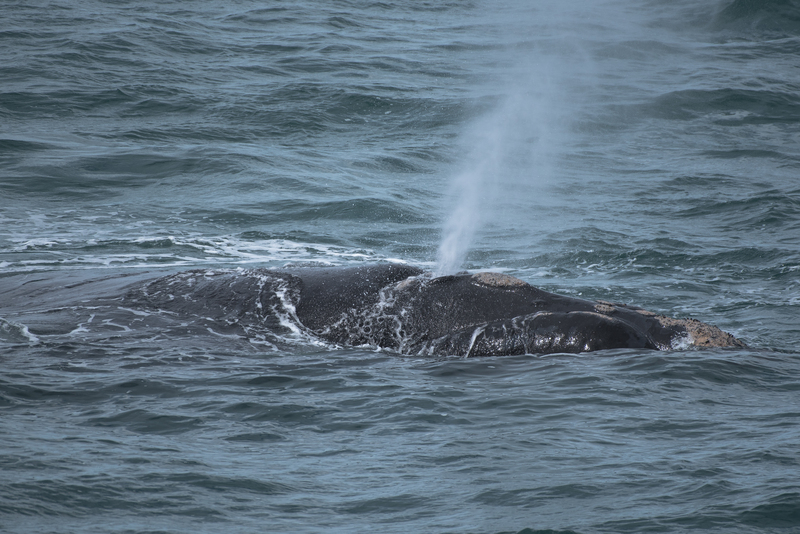 These no need to spend £70 on a boat tour, park your car somewhere between the 12-mile coastal path and you can watch about 11 southern right whales, breaching, tail slapping, fin slapping, spy-hopping and blowing. It’s a genuinely rememberable, relaxing experience to end your time in South Africa. 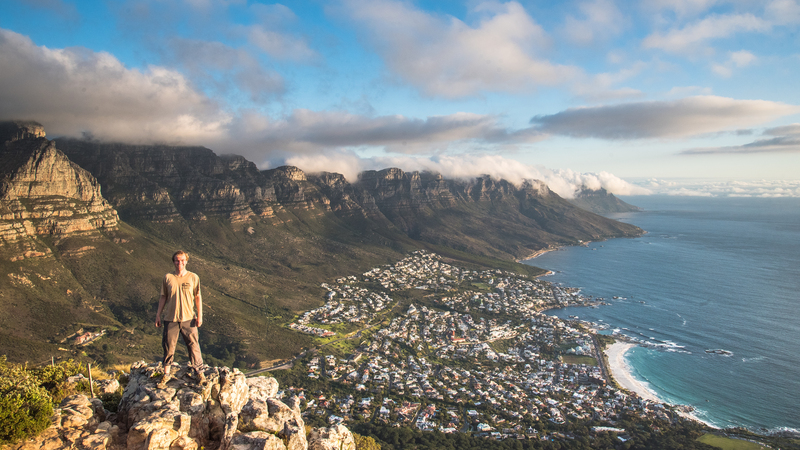 Becoming more popular in recent times is the trek up to Cape town’s second highest peak and in my opinion the best view in Cape Town. 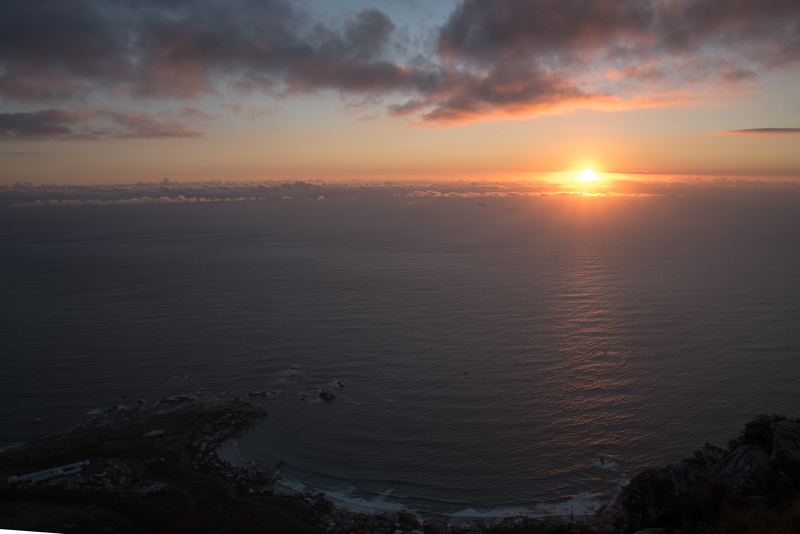 Once at the top you will be looking at 360 scenes of Table Mountain, city bowl, devils peak, the stunning 12 apostles and majestic Atlantic sea coastline. To climb, take the spiral route it’s a lot easier than the chains route although these still some staples/chain and ladders that you need to pass through before hitting the 669m peak. Underneath is a list of experiences that I found disappointing during my trip in Africa. 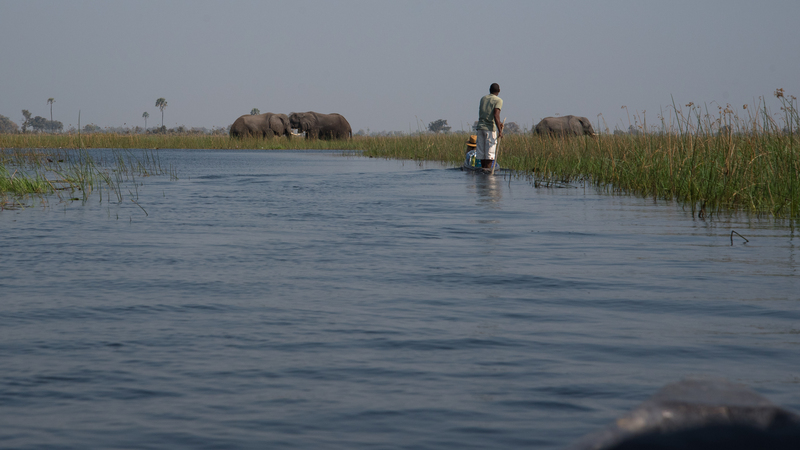 Yes,’ the Okavango Delta is an amazing natural spectacular, and I enjoyed my time being pushed along the delta in a tiny narrow little boat, called Mokoro. However, this lasted for an hour and then we spent most of the day doing nothing. Until we went on a walking safari at 4 pm In the morning, we had a quick walk around our island, and then we headed back. The excursion seems to be heavily overpriced $140. The problem with this tour is that it was overly priced $25 for half a day. 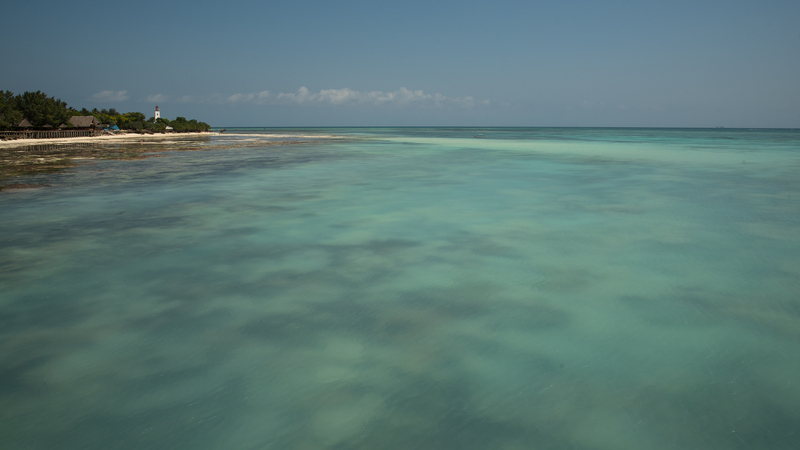 A boat took us to prison island first where we explored the oldest and largest turtles in the world. The Aldabra giant tortoises can live up to 300 years old and considered to be a vulnerable species which can only be found on this island. Afterward, we had lunch, and following we went snorkeling. Where I had faulty equipment, and then later people started to become unwell. I so wished I took the $10 Stone town tour instead. For my 28th birthday present my dad paid for my excursion to Gansbaai. Where hopefully I will have a chance of seeing a Great White Shark. But unfortunately for me, I didn’t see one and spent most of my day asleep all bobbing up and down in a boat. The early 3 am start to the day made it one of the most unpleasant excursions I’ve ever been on. If you’re visiting the area in February to mid-June, August all September you may want to miss this activity because you only have a 50% percent chance of spotting a Great White.